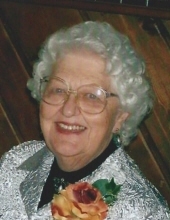 Darlene E. Staples, born - December 1, 1936, at home in Plymouth, Wisconsin; died – January 30, 2019 of cancer at the age of 82, at the Pleasant View Nursing Home, Phillips, WI while under hospice care. First born to Florence (Behr) and Melvin Roth, she was baptized, attended Sunday School and was confirmed at Salem Evangelical Reformed Church of Plymouth. She attended kindergarten in Plymouth and several one-room country schools and Glenbeulah High School. She then worked at Cleveland Container Company and Bordens, Inc. in Plymouth. She married John J. Staples on December 18, 1959 at the Reformed Church in West Bend. They had 5 children together. During her married life she worked at Richardson’s Micro Aluminum, Sprague Electric and Plasticon before moving to Phillips with her family in 1972. She joined the Presbyterian Church and was a member up until her death. She worked 30 years at Pleasant View Nursing Home as a CNA, at the IGA deli and after her retirement she worked part time and later volunteered in the activities department of the nursing home. She was also the go to babysitter for her grandchildren and loved to host family get-togethers for the holidays. She is survived by her children John (Tasha) Staples of Phillips, Cindy (Dan) Miller of Hamburg, Tom Staples of Merrill, Ron (Char) Staples of Spencer, Don Staples of Phillips along with 9 grandchildren, 11 great grandchildren and 1 great, great grandchild, an uncle, Marlyn Behr of Milwaukee, a brother Ron (Linda) Roth of Chetek, a sister Bonnie (David) Hendrickson of West Bend, a half-brother Steven (BJ) Richter of Random Lake, half-sisters Jenny Roth and Pam (Randy) Feidler of Plymouth and a step daughter Catherine (Tom) Retzack of Sheboygan, along with several nieces, nephews and their children. She was preceded in death by her parents, her husband and a sister Jean. A memorial service will be held at the 1st Presbyterian Church of Phillips on February 9, 2019 at 12 pm and friends may call from 11am until the time of the service. She will be laid to rest at Woodlawn Cemetery in Plymouth, WI at a later date. Online condolences may be expressed at www.heindlfuneralhome.com. The Heindl Funeral Home in Phillips is assisting the family with funeral arrangements. To plant a tree in memory of Darlene E. Staples, please visit our Tribute Store. "Email Address" would like to share the life celebration of Darlene E. Staples. Click on the "link" to go to share a favorite memory or leave a condolence message for the family.